Get Your Business off to a Flying Start! 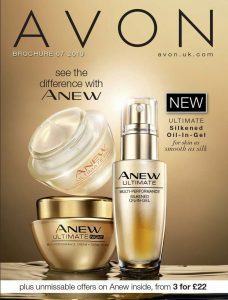 So what do you get in the New Avon Starter Kits? Avon Rep Pro Kit – featuring over 50 products, 75 samples, an Avon branded bag plus a choice of sales tools as detailed in the Avon Rep Start Up Kit – all for only £165 & worth over £500! 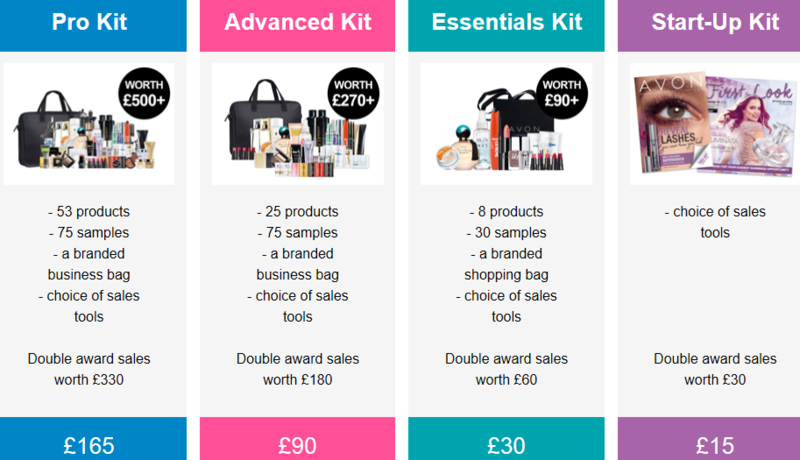 Avon Rep Advanced Kit – featuring 25 products, 75 samples, an Avon branded bag plus a choice of sales tools as detailed in the Avon Rep Start Up Kit – all for only £90 & worth over £270! Avon Rep Essentials Kit – featuring 8 products, 30 samples, an Avon branded bag plus a choice of sales toolsall for only £30 & worth over £90! Avon Rep Start up Kit – a choice of sales tools including 20 brochures, First Look exclusive representative magazine, brochure bags, canvassing cards, order forms, calling cards, calling book and ring sizers. Dedicated Facebook group with training units. MakeUpInBusiness new representative pack, including quick start guide booklet, stationary and samples. Social media marketing training from a qualified social media manager. Full training and support to develop your business further with sales leadership. How do I Join Avon with the MakeUpInBusiness Team?